“The heavens declare the glory of God; and the firmament sheweth his handywork.” (Psalms 19:1). In ancient times the starry firmament constituted the major setting for wisdom and guidance, especially as regards the understanding of God’s will and the mysteries of life. The sky was the current equivalent of scriptures, yet also of libraries, cinema, internet or television. It provided data concerning every aspect of existence, from the most mundane to the most sacred. This is why astrology is considered the oldest source of information, preceding any other method used by mankind to attain knowledge. Yet this does not mean that astrology per se provides knowledge. Similarly to the internet, it merely offers a structure, which can either be used to promote wisdom or ignorance, reality or illusion. This also applies to shamanism, or astroshamanism, as we call it, which can be described as the experiential application of astrology and the most ancient operative attitude to pursue knowledge. With shamanism the seeker establishes a direct connection with the information derived from astrology, verifying on the spot the territory described by the starry map. 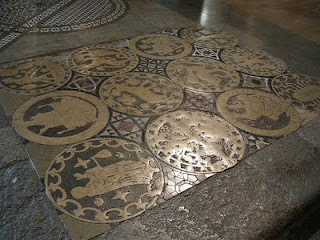 Astrology offers maps, while shamanism uses them experientially. And again, astrology and shamanism can sponsor wisdom or ignorance, light or darkness, depending on whether the intent of the seeker is based on separation or unity, fear or love. As a result, throughout history, astrology and shamanism have been used in most controversial ways. This is also the case for all religious and spiritual paths, philosophies and thought systems, modern and ancient, all originally stemming from astrology and shamanism, i.e. astroshamanism. Astroshamanism is a way of acknowledging both the voyager and the map, and yet the way in which the map is used depends on the voyager and it is totally unrelated to the map itself. In this article I intend to briefly introduce some theories on the Christian associations with astrology, and in particular the conjecture called Gospel in the Stars. The matter is rather complex and I am only treating some of its aspects. For further information you can refer to the links provided in the text and other readings. According to the theory of the Gospel in the Stars, before written languages became accessible to human beings, the Gospels, and God’s message to mankind, were marked in the sky. Only later, they were translated in words and given form through scriptures. This theory claims that the original meaning of the Gospel, which abided in the visible sky, was then distorted by the Babylonians, probably following the aftermath of the Tower of Babel episode as described in Genesis, and later by other pagan cultures, until the canonical Christian scriptures finally translated it in written form. This view, although apparently most ancient, was officially formulated in 1863 by Frances Rolleston in Mazzaroth, i.e. 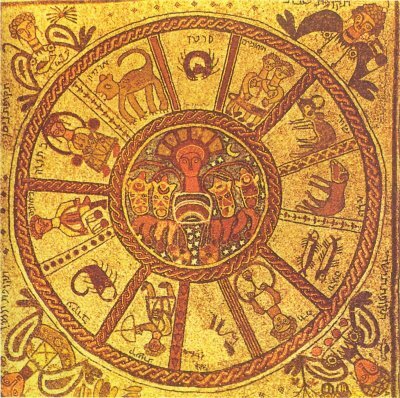 the Hebrew word for the 12 signs of the Zodiac, and later by E.W. Bullinger in Witness of the Stars and Joseph Seiss, in Gospel in the Stars. In recent times the theory has been promoted, especially by Dennis James Kennedy, one of the most popular American televangelists, with The Real Meaning of the Zodiac, Thomas Horn in The Gods That Walk Among Us, and other Christian ministers. These authors acknowledge that no matter how far back we go, all cultures have the same signs of the zodiac and sky as the main reference for knowledge. Their core assumption is that the perfect revelation of God was already available in the stars since the beginning and went lost only after the fall, which is also an event described by all cultures. As a result the original revelation was gradually distorted as separation took over. Satan turned people away from the real God by faking the original truth and leading mankind to worshipping the stars and their deities, instead of seeing them as a heavenly map created by God to communicate the truth. The menu became the meal and this set off an age of human spiritual starvation. Far from championing astrology, most supporters of the above theory condemn it as the work of the devil, together with the New Age and paganism, ancient or recent. The notion is that the stars were given by God to man as a transcription of His revelation, yet ancient people ended up worshiping the stars themselves (i.e. the transcription) and missed the whole point of the revelation. This is why in the Bible there are many injunctions against astrology and no explicit reference to the Gospel in the stars. Once the scriptures became available, the wisdom in the stars was kept secret, in order to avoid misunderstanding and proliferation of idolatry. Due to this a lot of caution is required in retrieving the original message of the stars. Promoters of this theory concur that the biblical scriptures already contain this message, yet they also maintain that the stars may add to this message and in some way make it richer and deeper. Detractors of the above thesis point out that there is no scriptural evidence to sustain the connection between the stars and the Bible. They accept that before the Bible was produced and also later, when written languages were still not easily accessible, the patriarchs may have used the stars as a vehicle to transmit scriptural information. Yet, they also underline that since this method is much inferior compared to the word, once the Bible was finally revealed, the Gospel in the stars ended its purpose. 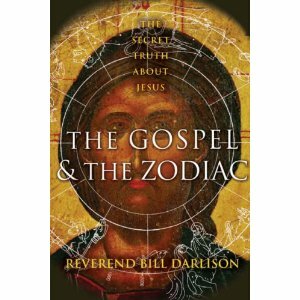 In The Gospel and the Zodiac, Bill Darlison, Senior Minister of the Dublin Unitarian Church, provides an apparently antithetic perspective to the theory of the Gospel in the Stars. He suggests that the Gospels are esoteric, rather than historical accounts, and that their stories are symbolic representation of a much more arcane and genuine wisdom found in the stars. In his book he argues that Christianity draws from a much further ancient message, which besides being the core essence of all world religions is basically unrelated with the prejudices of current traditional doctrines. Instead of the stars being merely a transcription of the genuine message of the Bible, here it is actually the Bible that comes out as a transcription of the original wisdom provided by the stars. ARIES 1:1-3:35 (baptism of Jesus, beginning of ministry, sense of urgency, daring defiance) TAURUS 4:1-4:4 (parable of growth, agricultural imagery). GEMINI 4:35-6:29 (theme of duality, double miracle, apostles sent out in twos). CANCER 6:30-8:26 (theme of nurture, attack on traditions, food and stomach concerns). LEO 8:27-9:29 (transfiguration, glory). VIRGO 9:30-9:50 (teaching on humility, little children, warning against passivity). 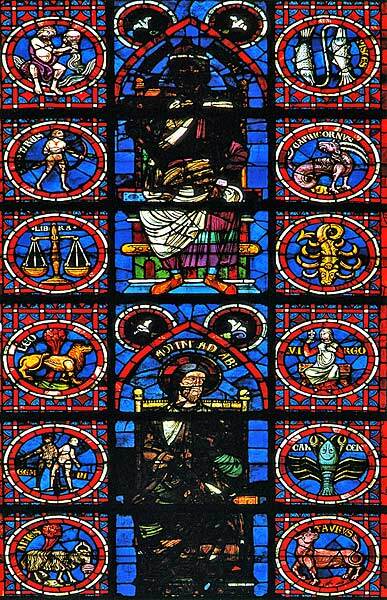 LIBRA 10:1-10:31 (teaching on marriage, story of rich young man). SCORPIO 10:32-10:52 (teaching on power, death and rebirth themes, jealousy). SAGITTARIUS 11:1-11:26 (Jesus as ‘Centaur’, teaching on faith). CAPRICORN 11:27-12:44 (teaching on authority, encounters with authority figures). AQUARIUS 13:1-14:16 (apocalyptic transformation, progress, the Man Carrying a Jar of Water). PISCES 14:17-16:18 (Betrayal, suffering, sacrifice, death, resurrection). Classic philological studies describe the ancient cosmogony of the creation of the Primal Man, as a microcosm of the universe. This most vital and widespread myth first used the astrological language in order to be communicated. The human body was then regarded, similarly to the Primal Man’s, as made of the elements of the starry sky. 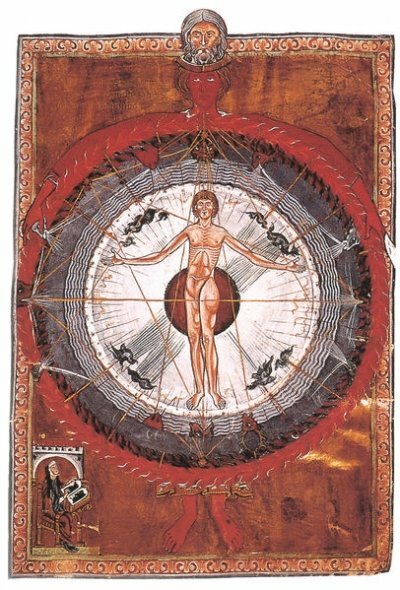 This understanding continued also in medieval times and was regularly documented in early Christian texts, as for example in the Liber Divinorum Operum by Hildegard of Bingen. 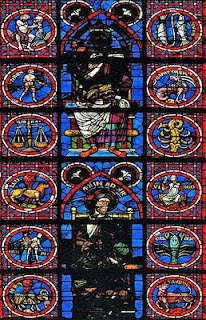 Many scholars in the course of history have provided much evidence that Christianity is in essence an astrotheology (click here for further details) or that, as Thomas Paine put it, “the Christian religion is a parody on the worship of the sun, in which they put a man called Christ in place of the sun, and pay him the adoration originally payed to the sun". Yet Bill Davison’s aim, far from debunking Christianity, is to emphasize its true mystery and vital dynamic character. For Bill Darlison, the Gospel is written in an astrological code, which once deciphered radically transforms the understanding of the original nature and function of the scriptures. 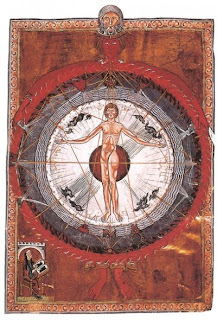 In his view, as also the Gnostics concur, the Gospel is an allegory of the cycle of the Sun from its birth in Aries to its death in Pisces, symbolically reflecting the path of the initiate towards liberation. Hence “the attempt to establish historical credentials for the Jesus story came some time after the story itself originated in the fertile imagination of some esoteric group, whose poetic account of the spiritual journey was transformed into history by people who had either misunderstood the story, or who were motivated by more cynically pragmatic political or ecclesiastical considerations.” (p. 8). The thesis that the Gospel is a mythical and esoteric account, rather than a historical narrative, does not discount the Christian message. On the contrary it liberates it from the awkwardness of having to defend the historical authenticity of incidents which Davison considers very unlikely. Although Christianity thrives on the peaks of spirituality achieved by its mystics and their awareness of the original esoteric message, as the author quoting Aldous Huxley points out, it has never been “liberated from its servitude to historical fact” and has “remained a religion in which the pure Perennial Philosophy has been overlaid. Now more, now less, by an idolatrous preoccupation with events and things in time – events and things regarded not merely as useful means, but as ends intrinsically sacred and indeed divine.” As a result those who are not concerned with the historical elements and view the story of Jesus in its inner essence still continue to be ostracised by the Christian orthodoxy. 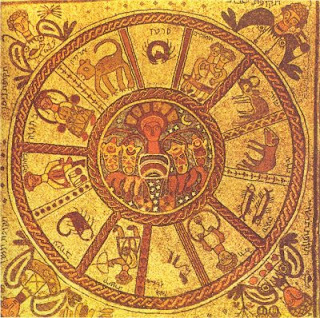 In his book Darlison explores the twelve zodiac signs from an esoteric Christian perspective and according to the Gospel of Mark, extrapolating the spiritual lessons for each sign. As regards Taurus, which in Mark includes the brief section from 4:1 to 4:4, the opening parable is the story of the farmer in Mark 4:3-9 who sows his seed. “Some fell along the path, and the birds came and eat it up. Other seed fell on rocky ground, where it did not have much soil, and immediately it sprang up, since it had no depth of soil. And when the sun rose it was scorched, and since it had no root, it withered away. Other seed fell among thorns, and the thorns grew up and choked it, and it yielded no grain. And other seeds fell into good soil and produced grain, growing up and increasing and yielding thirtyfold and sixtyfold and a hundredfold." And he said, "He who has ears to hear, let him hear." The above exemplifies the necessity of using the “Taurean virtues of endurance and stability, in addition to the Arien ones of enthusiasm and vigour… This is a warning that the spiritual impulse alone is not enough. The desire may be sown in the heart, but without adequate nurture it will easily be destroyed… The spiritual life requires perseverance and tenacity, the two most striking Taurean qualities.” On the other hand, what jeopardises the expression of these qualities is the shadow side of Taurus, i.e. the conformity with the world and its separated values, its possessiveness and attachment to the material world. You are working along the same lines as me - I would like to quote some of your paragraphs in my own blog about these things. Hope that's cool with you? Feel free to quote, share and employ whatever is useful for you. Thanks for your interest and it is a delight to join forces.